"By investing in Glowforge and partnering to roll these amazing machines out to our stores, we’ll allow customers to test them out and create things they love. From custom acrylic floor lamps, to plywood drones, to leather shoulder bags, the possibilities with Glowforge are truly limitless." HUDSON, Ohio--(BUSINESS WIRE)--JOANN, the nation’s leading craft and fabric specialty retailer, is betting on a new technology that is quite literally cutting-edge. The iconic retailer has invested in Glowforge, a startup that is disrupting the DIY arena with 3D laser printer technology that creates intricate, precise custom cut projects at the push of a button. With its investment, JOANN secures its place as Glowforge’s brick-and-mortar national retail partner, and will roll out the breakthrough technology to select stores in the coming months. 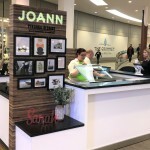 Customers can start 3D laser cutting and engraving today at the just-launched JOANN Custom Shop in the Natick Mall outside of Boston. The in-mall kiosk is the first of its kind for the retailer, and offers custom framing in addition to laser cutting and engraving. Ohio customers have already been creating with Glowforge in the retailer’s industry-first Concept Store, which also offers a number of other rentable technologies and machines. Glowforge users can start with something as basic as a hand-drawn image, or use software like Photoshop or clip art to print a file using the intuitive web-based app. Customers are able to see a preview of the results, and drag the images around on their chosen material to position them exactly as they prefer. The start-up made crowdfunding history in 2015, raising nearly $28 million in 30 days, and launched its first machine to the public in April 2018. In addition to the in-store partnership, JOANN and Glowforge will collaborate to develop supplies and tools to help optimize machine capabilities. 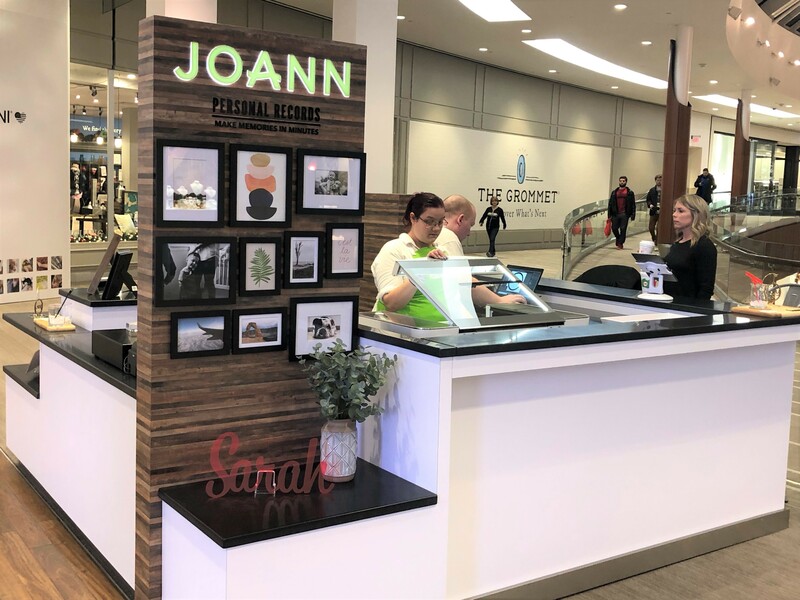 The machines will roll out to other JOANN stores across the 865-store chain in 2019, and will also be made available for custom online orders. For more information on ordering and availability, visit joann.com. 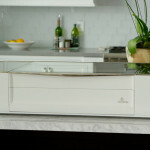 Glowforge is a Seattle-based startup that created the 3D laser printer. Glowforge’s wireless desktop laser makes it simple for designers, artists, and makers to take products directly from digital design to reality. Unlike 3D printers that use additive technology to build objects out of plastic, Glowforge uses subtractive technology to cut and engrave products from durable and beautiful materials like wood, leather, acrylic, paper, fabric – even chocolate. 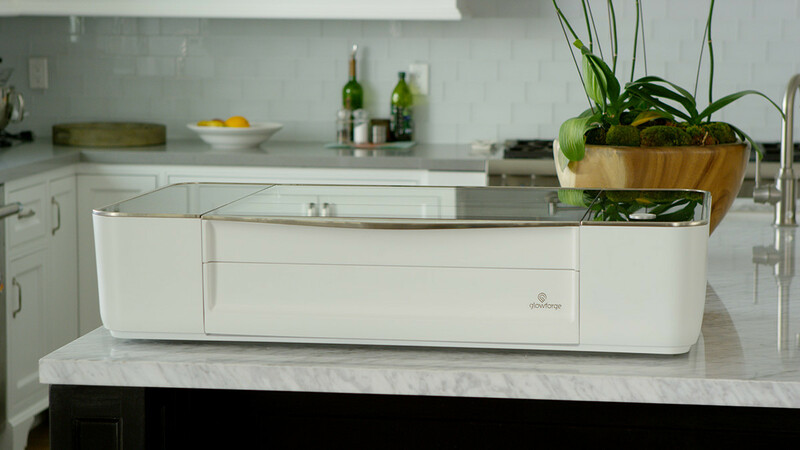 A sleek and efficient design makes this industrial-grade technology beautiful and affordable, and a friendly cloud-based app makes it easy to create amazing things with Glowforge. For more information, please visit Glowforge.com.